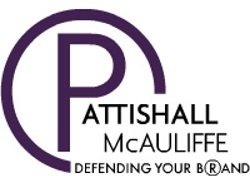 Friedman Fine Art, in collaboration with NELSON, designed, fabricated and installed the client montage wall for the trademark specialty law firm of Pattishall, McAuliffe, Newbury, Hilliard & Geraldson LLP. 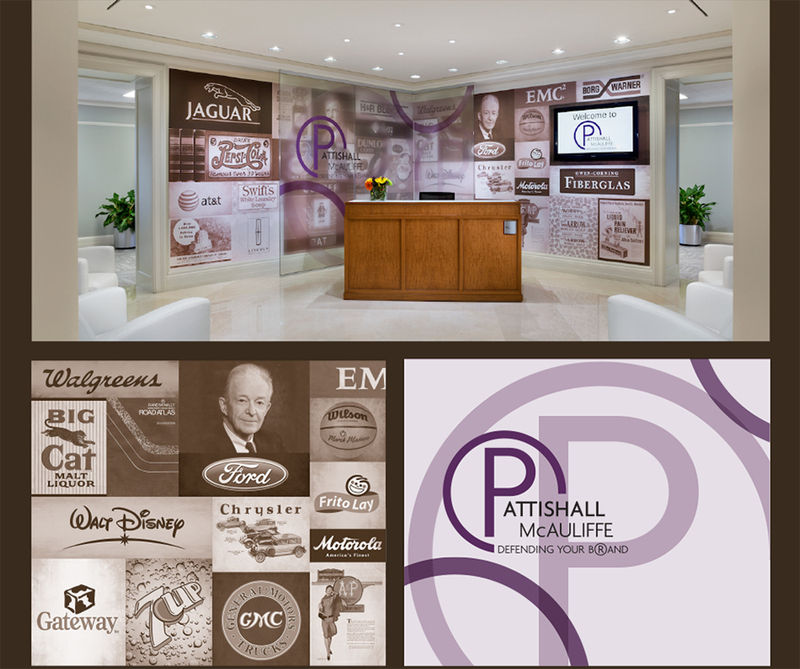 The wall was designed to highlight some of the firm’s many prestigious clients. The high resolution images were printed in sepia on durable canvas wall covering and the floor to ceiling glass panels were laminated with a frosted film displaying their logo.